On the new website of our sister company, Adventure Services we are presenting a range of low priced hunting & fishing opportunities in New Zealand. The reason for the lower prices is usually that the activities are more rugged and basic than the selection we present on this website. Land of Dreams Ltd. is a specialized travel agency for hunting and fishing adventures in New Zealand. We offer you a first class personalised service for everyone who shares the same passion and wants to visit our beautiful country of New Zealand. 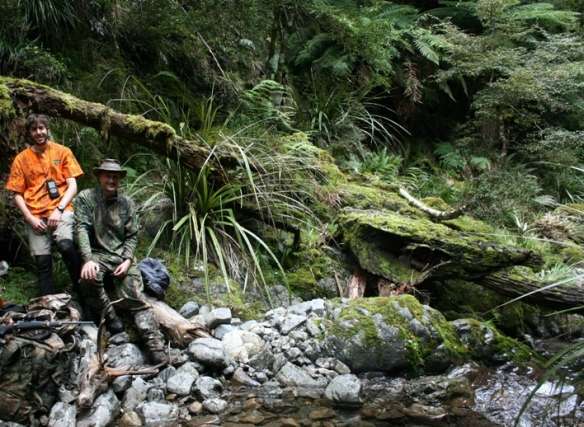 Hunting or fishing in New Zealand is a great way to see all the beautiful scenery and wildlife that there is to be found here. As single elements which you can include into your self planned holiday. If you would like one or more days of quality fishing or hunting during your holiday/stay, it is vital for us that you spend these days with a professional guide that will make the best of your time. Discover information about other Land of Dreams products such as camper holidays and group travel..